The manager and two beekeepers of Fort York National Historic Site are facing a major loss after vandals stole their honey and destroyed several of their hives. Someone broke into three of seven hives to steal honeycombs before running off with the honey. 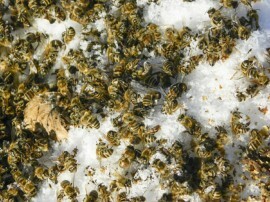 The exposure to the winter cold left at least 46,000 bees dead. One of the beekeepers for Toronto Honeys, which manages honey production on the Fort York property, made the discovery while on checking the hives. 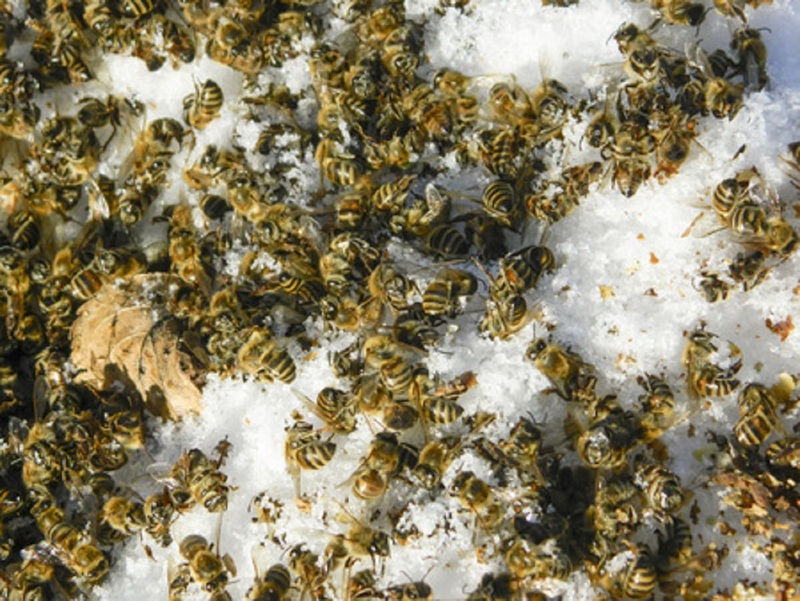 The beekeeper, Melissa Berney, noticed something odd—the vandals didn’t take everything. “That’s what is strange about it,” Melissa said while showing reporters the broken-into hives. “They took a few frames from each of the hives they stole from. They didn’t take the whole box or all of it.” Six to eight frames were damaged and would have produced around 1.8 kilos of honey. In one year, just seven hives managed to produce 272 kilos of honey, with the total population of those hives being estimated to be at least 140,000 honeybees. Repopulating that many bees will cost several hundred dollars for the beekeepers. Shawn Caza, another beekeeper with Toronto Honeys, said the first time he noticed vandalism to the hives was in early December when a hive “was slightly ajar off its base.” Around Christmas, he realized some honey had been cut out of a few different hives. Then, the following Thursday, he noticed the protective installation had been ripped off many hives. Most would assume it might have been an animal behind the damage, but it looked like the installation was cut. Caza believes someone may have used a knife to intricately cut out the combs. “It’s really confusing to pin down a motive,” Caza said. “To actually just steal honey? The actions just don’t make sense. Wanting to kill the bees? It doesn’t make sense either because they didn’t just knock the hives over.” The honey produced from the hives is used for food programs at Fort York. Museum manager David O’Hara said he plans on filing a report with Toronto police.